I decided to reblog this post about Soave from 2010. I was excited to see how much has changed. This week I have had the good fortune to spend some time with Giovanni Ponchia, the young and talented winemaker from the Soave Consortium. 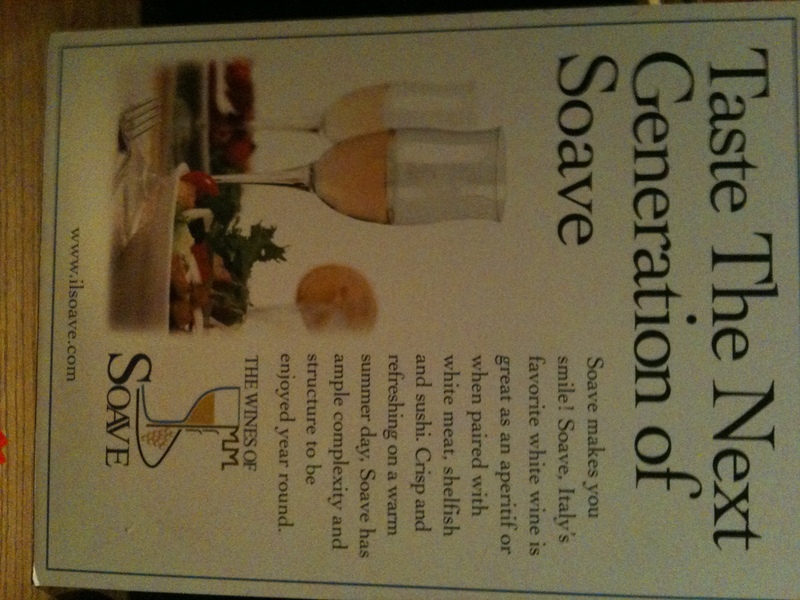 I also was lucky enough to try a new Soave that I didn’t know from Cantina di Monteforte. It was light, refreshing and very easy to drink as an apertif and I found myself wondering why I have been drinking so little Soave over the years. I also really enjoyed the fact that it was only 12% alcohol, making it an easy wine to sip without having to eat a big meal in order to contrast the wine. Wine Education: Online Vs In-Class, What do you Prefer?